MSG Jefferson D. Davis, 39, was the Team Sergeant of ODA-574, Company A, 3rd Battalion, 5th Special Forces Group (Airborne). He was killed in action during Operation Enduring Freedom. JD, as he was known to his family and friends, was born in Tennessee on October 22, 1962. He graduated from Elizabeth High School in Tennessee in 1981. 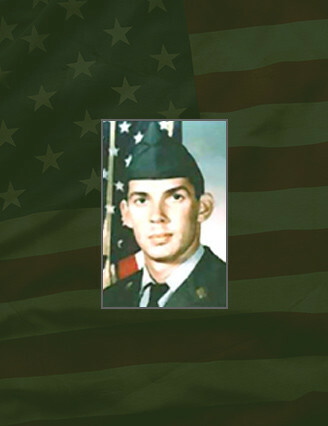 Dan enlisted as a Medical Specialist in August of 1984 and served in Korea for three years. After graduating from the Special Forces Qualification Course, JD was assigned to the 5th Special Forces Group (Airborne), Fort Campbell, Kentucky. He served as a Medical Sergeant on both ODA 562 and ODA 564. After completing a tour as a Senior Instructor at the Special Warfare Center, Fort Bragg, North Carolina, he returned to 5th Group where was selected to be a Team Sergeant in the 3rd Battalion. During his tenure in military service, JD participated in Operation Desert Storm and numerous contingency operations throughout Southwest Asia. His awards and decorations include the Purple Heart Medal, two Meritorious Service Medals, two Army Commendation Medals, the Defense of Saudi Arabia Medal, the Liberation and Defense of Kuwait Medal, Special Forces Tab, Ranger Tab, Combat Infantrymen’s Badge, Combat Medical Badge, Master Parachutist Badge and the Military Freefall Parachutist Badge. JD is survived by his wife Mi Kyong, his daughter Christina, his son Jessie, and his parents William and Linda Davis.